RV 770 LMT-S is our advanced navigator for your roving RV lifestyle. It allows you to enjoy the freedom of the open road while traveling with helpful guidance features. 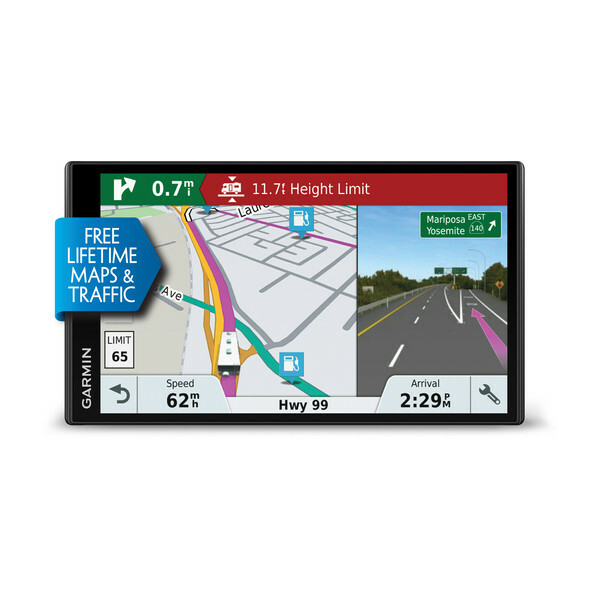 RV 770 LMT-S is a large, easy-to-view GPS navigator with a 6.95” edge-to-edge touchscreen display that fits prominently in an RV or your car. It provides road warnings and custom routing¹ based on the size and weight specifications of your RV or towable trailer. It even includes a directory to RV Parks & Services. It also features Easy Route Shaping, Elevation Profile information and millions more new and popular places to visit and explore, thanks to TripAdvisor® and Foursquare®. 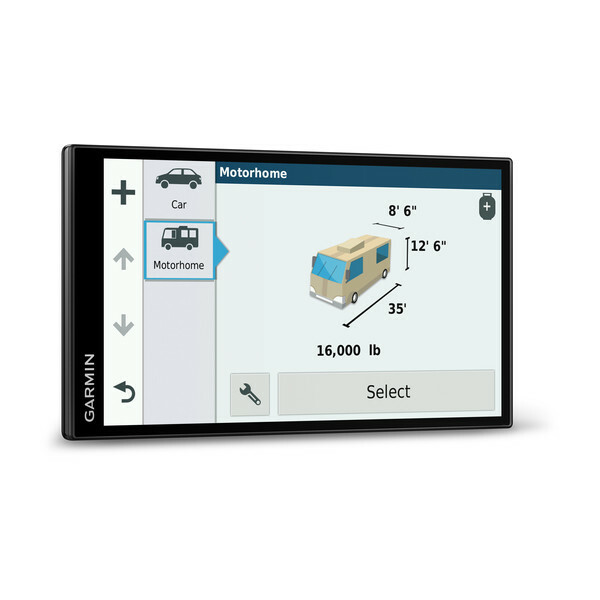 Just input the specs of your RV or towable trailer, and then RV 770 LMT-S will use your RV profile¹ to find the most efficient route across North America. 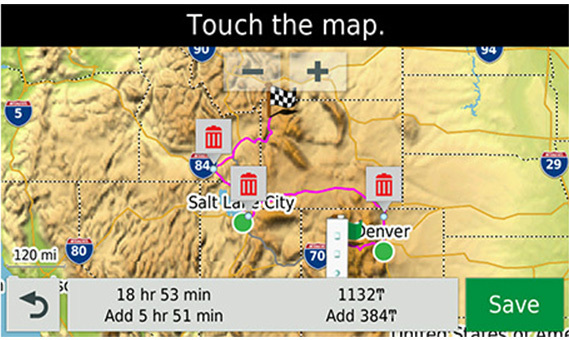 Your route will be determined based on the height, weight, length and width specifications of your vehicle. RV 770 LMT-S features a directory of RV Parks & Services. This comprehensive listing of RV parks and campgrounds contains nearly 20,000 sites in the U.S. and Canada, including national and state parks and privately owned campgrounds. You can easily search this directory by preferred amenities — such as pet-friendly, on-site laundry, electric hookups — so you can easily find what you want away from home. The directory also includes more than 14,000 RV-specific service locations, including towing, tire shops, truck stops and repairs. Outsmart traffic jams with time-saving alternate routes or by avoiding them altogether. 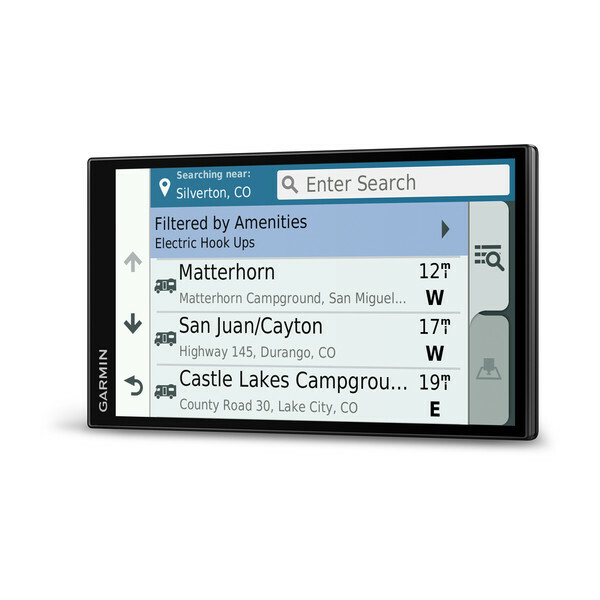 For traffic alerts, relevant rerouting directions and basic weather forecasts, download the Smartphone Link app², which connects your RV 770 LMT-S navigator with your compatible smartphone to access live traffic and other services. The Smartphone Link app also enables the LiveTrack² feature, which lets you share your location so friends can track your whereabouts as you travel. When you sync your Bluetooth-enabled smartphone to RV 770 LMT-S, you get great features that let you stay connected without taking your hands off the wheel.³ Make hands-free phone calls, and receive smart notifications on your navigator’s display.5 That means you can see incoming calls, text messages and calendar reminders without having to reach for your phone. It also offers the convenience of voice-activated navigation. Say “voice command,” and then simply command your navigator with your voice while your hands remain on the steering wheel. Your hands never have to leave the wheel. 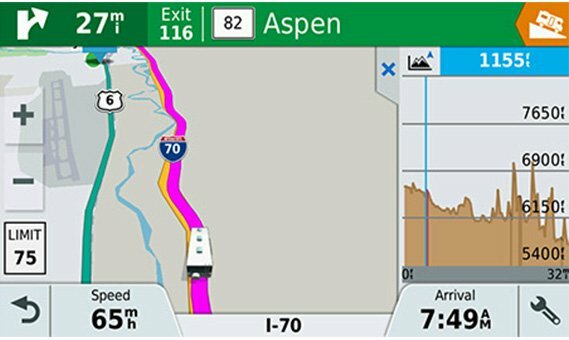 RV 770 LMT-S is preloaded with detailed maps of North America that also include RV-related restrictions such as bridge heights, weight limits and related information for most major roads and highways. You’ll hear and see these helpful warnings, which can help prepare you for upcoming descents, ascents and more. 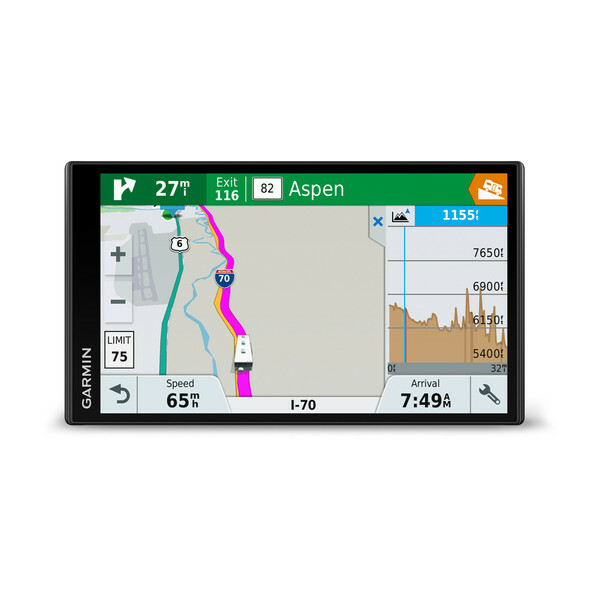 The RV 770 LMT-S navigator features a handy map tool that allows you to view upcoming elevation information pertaining to your route — all while viewing your map navigation screen. You can even tap on the elevation information to expand the elevation profile view, and see your current and upcoming elevation in greater detail. 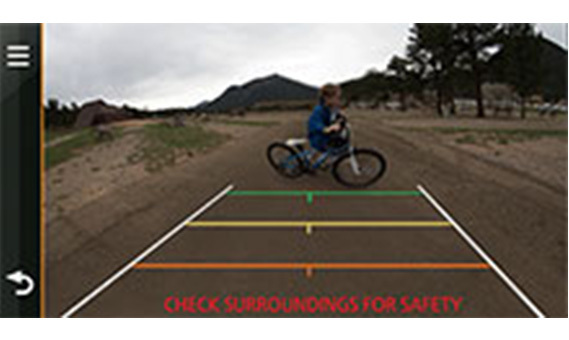 Viewing this information helps prepare you for possible steep grades along your route. To encourage safer driving and increase situational awareness, RV 770 LMT-S provides driver alerts for sharp curves, speed changes, railroad crossings and animal crossings. Additionally, the navigator will warn you when driving the wrong way on a one-way street and alert you to nearby schools and school zones. Receive notifications for nearby red light cameras and speed cameras6, and even get fatigue warnings7 that suggest potential rest areas after several hours of driving. When you’re not familiar with the area, it’s nice to have something to point you in the right direction. 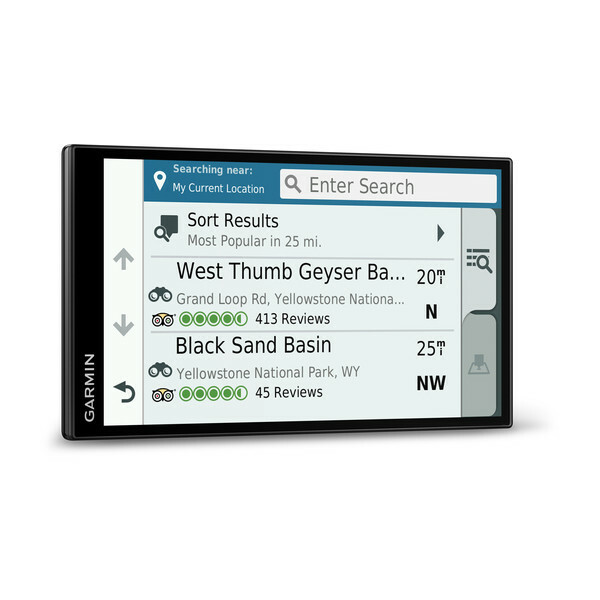 That’s why we’re bringing TripAdvisor to your RV 770 LMT-S navigator. View ratings for travel points of interest, such as hotels, restaurants and attractions, along your route or near your destination. From the world’s largest travel site directly to your RV, we’re helping you find the stops that make the entire journey part of the destination. Also, locate new attractions with the built-in Trip Planner tool, which adds fun to road trips by suggesting interesting stops along the way. In addition, the Foursquare database of preloaded points of interest includes millions more new and popular restaurants, shops, services and more along your route. 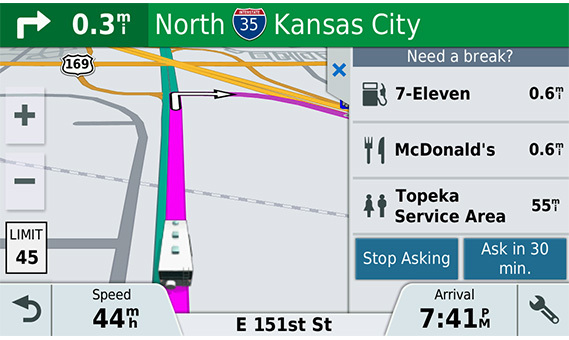 RV 770 LMT-S keeps your driving map onscreen at all times, and additional information appears alongside. RV 770 LMT-S displays speed limit, current speed and estimated time of arrival. No matter where you are, always know what’s close. The Up Ahead feature is a constant stream of nearby places — including restaurants, stores, hospitals and fuel stations — that appears alongside your driving map and updates as you move along your route. RV 770 LMT-S navigator has Active Lane Guidance (ALG). ALG uses voice prompts and brightly colored arrows to indicate the proper lane needed for your route. photoReal Junction View shows exits as they appear in real life — in full color and great detail. Bird’s Eye Junction View offers a detailed view of interchanges, looking down from overhead. For a complete navigation solution, RV 770 LMT-S pairs with the BC™ 30 wireless backup camera (sold separately; professional installation recommended). 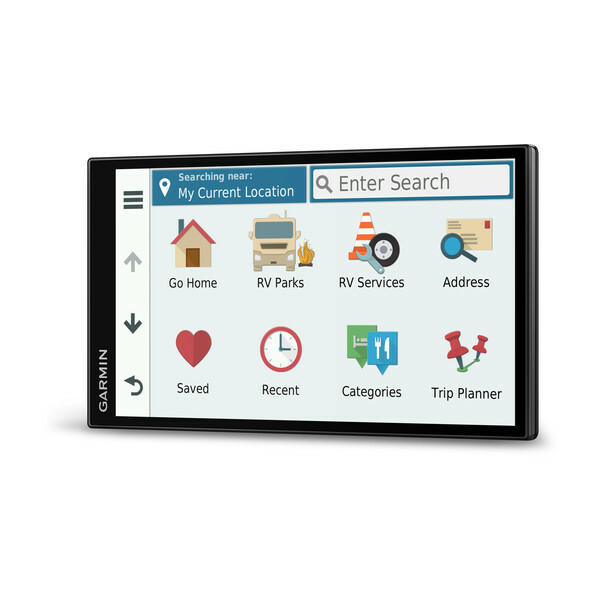 Once connected, you can easily see vehicles, pedestrians and other obstacles right on the RV 770LMT-S navigator’s display as you move in reverse. 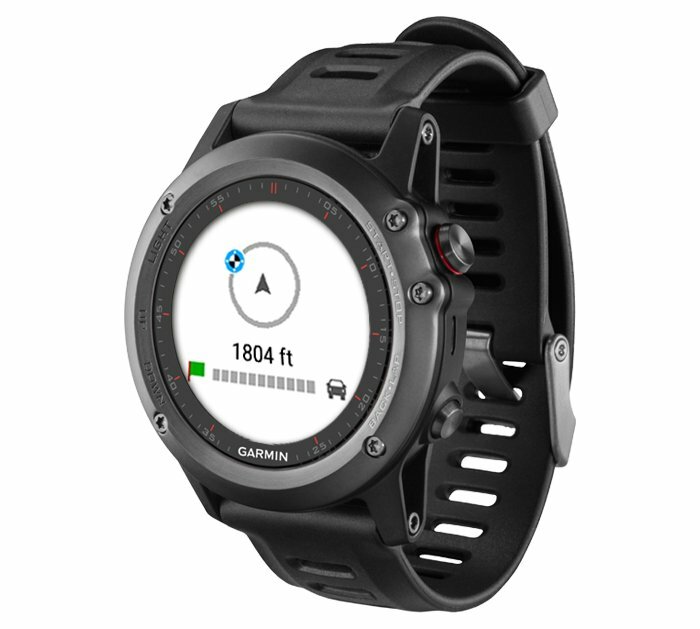 RV 770 LMT-S works with any Connect IQ™-compatible Garmin smartwatch, such as fēnix® 5 (sold separately), to provide driver alerts on your wrist plus handy smartwatch compass guidance to help you get from your parked vehicle to your final destination and back to your vehicle again. The quality of map data can make all the difference between finding your destination and getting lost. 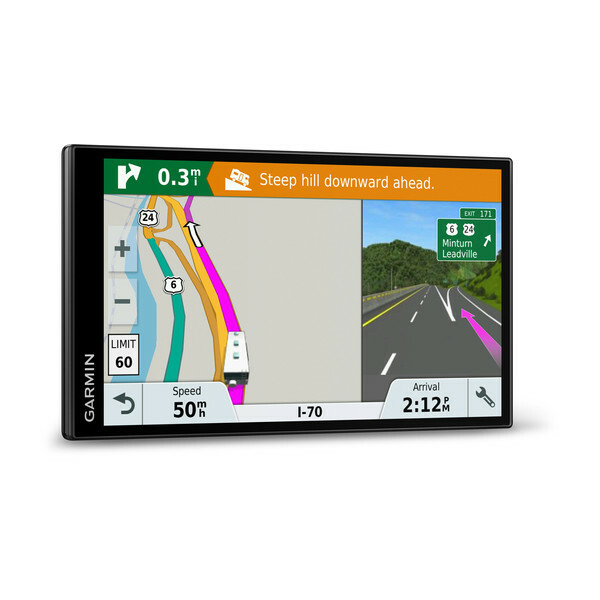 High-quality HERE map data enables your Garmin device to provide you with the information you need, when you need it most — so you can travel to the special places you want to visit in your RV. ¹Not available in all areas. 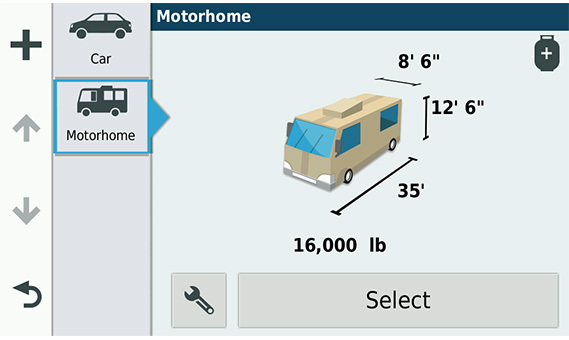 Entering your RV or trailer profile characteristics does not guarantee your RV’s characteristics will be accounted for in all route suggestions. Always defer to all posted road signs and road conditions. ²To access live information, you must download the free Smartphone Link app. User’s data plan charges, if any, will apply. Contact your mobile service provider for more information about your service plan’s data and roaming rates. Requires Bluetooth-enabled smartphone (sold separately). ³Requires Bluetooth-enabled smartphone (sold separately). 6Red light and speed camera warnings are not available in all regions. 7The fatigue warning activates after longer periods of consecutive driving without any long stops along the route.